The next Splatoon 2 Splatfest has been announced and is almost here! 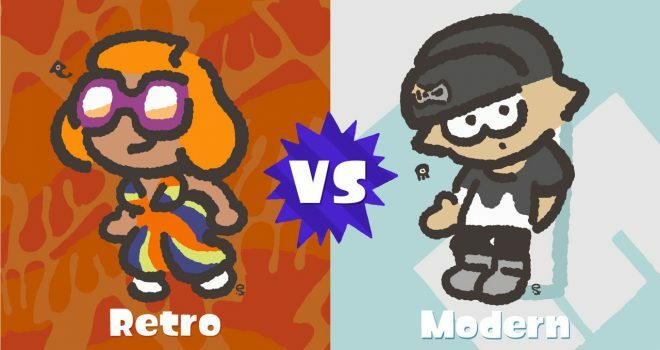 The theme for the Splatfest is Retro vs. Modern? The Splatfest runs September 21st at 9pm PT to September 22nd at 9pm PT. Starting with this Splatfest, there are a significant number of updates, so check out this post for a summary of all the changes! As a reminder, the Nintendo Switch Online service will launch on September 18th. You will not automatically become a member so you’ll need to purchase an individual or family membership to avoid disruption of your online play in compatible games (including this Splatfest). Please visit Nintendo.com for more info.